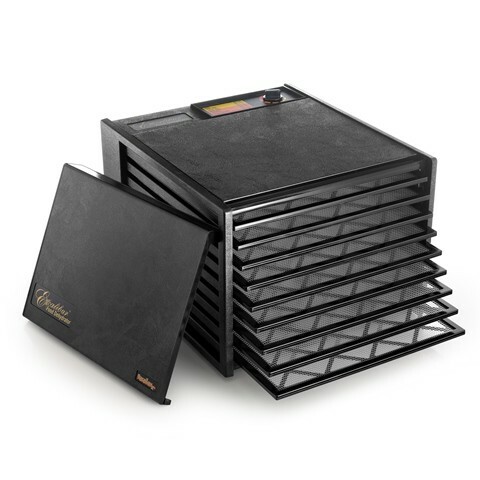 Our new Excalibur 3900 Food dehydrator tray is a part of deluxe 3000 series and is great to dehydrate your multiple food items at a time. Its rugged design and reliable functionality will offer you better quality food that perfectly serves your health needs. From dehydrating dry foods, fruits to meat or making jerky, the Excalibur 3900 food dehydrator is ready for you. 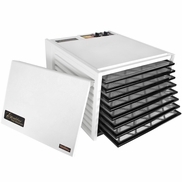 This living foods dehydrator comes with 10 years of warranty and is easy to maintain, clean and rotate. As an added bonus, you can purchase discounted non-stick sheets for making fruit leathers, roll ups, taffies, crackers, or any of the desirable treats that need to be pureed or in liquid form with this 9 set of trays which further simplifies its operations. 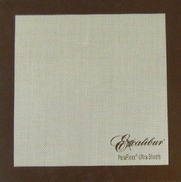 The Excalibur tray is also energy efficient with its 600 watt fan. This living foods dehydrator comes with an adjustable thermostat (105°F to 165°F) and 15 square feet of drying area gives more space to your food. To make your food extra delicious, you are also getting a 24 page recipe book that perfectly suits your needs as well as the Free Preserve It Naturally Book! I'm new to dehydrating, but I'm so excited to begin using my new Excalibur. I've have wanted to try dehydrating in the past few years. and purchased two different models, by another company. I was discourage from going forward in my new adventure of dehydrating, because the other two units were to loud to use them in my apartment. Still very exciting to try my hand at dehydrating, I purchased the Excalibur 3900 9 tray unit, I turned it on immediately to see how loud it was. To my surprise not loud at all! Boy was I excited! I purchased a white unit and it's not huge, fits very nicely on my small apartment kitchen counter. And I would recommend this unit to anyone, hands down !!! After reading many Raw Food cook books, and any other healthy recipes, they almost all recommend the Excalibur dehydrating products. I'm also excited to make healthy snacks for my grandchildren, and give them a chance to learn more about where their food comes from, and healthy alternatives for a quality of life. I also purchased a Handy Sprout Garden. I've been sprouting for over 49 yrs. and have always used glass jars. While glass jars work, I found the Sprout Garden works better because of the many holes in the tray for drainage. 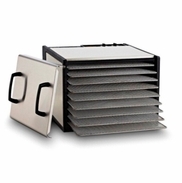 Allows more air flow, and less spoilage of settled water. Customer service was very polite, patient and help me in the deciding process to make my purchase. Thank you for being an ethical company, and service to promote a healthy lifestyle. This was a replacement for an old dehydrator that was literally worn out. I couldn't be happier! It's easy to clean, excellent heat control and very efficient. The instruction book that came with it is very informative taking the guess work out of dehydrating. 3 rd one in our family. Big Hit! Shipment of order was prompt and dehydrator is operating well. I am very pleased with our purchase of this dehydrator. The service from Harvest Essentials was terrific. The dehydrator cam quickly and saved us as!! We dried 500 pounds of juicy pears in only days!! Great product. Love it. I have only used it for herbs thus far but it dried them fast! It did however blow them around a bit!Excited to dehydrate some fruit next! My wife already had one, but likes it so much she wanted another as she uses them constantly for drying during the growing season, and dries many items, thing from the garden. The previous Excalibur dehydrator has been working for us no less than 40 years. The only reason we replaced it with the new dehydrator was because the door had fallen and the plastic was cracked, as had also happened with some of the plastic trays. After 40 years it was time to purchase a new dehydrator. If it lasts another 40 yearrs, we suppose one of our adullt children will find it as useful as we have the former one. We have already put it to good use, preparing jerky and drying fruit and vegetables we have harvested from our garden. The price Harvest Essentials was excellent, especially considering the excellent manual that is brim full of instructions about how to take full advantage of food drying. We also apppreciate the re-designed features, such as the re-designed door and the temperature dial on the top of the machine. Thank you for selling an excellent dehydrator at a reasonable price! Great Starter Machine for general fruits/vegetables and stuff. When doing whole grains however, I need a machine that will dehydrate below the lowest setting that the 3900 has. It starts at 105 Degrees and goes up. I need a machine that starts at 90 or 95 Degrees and goes up from there, otherwise germination at a later date of whole wheat and other seeds is impossible. I love it already. It dehydrated some slices of watermelon in under 24 hours. My old dehydrator ( a different brand) was going out and it took several days. So glad to have this one! MODEL 3900 IS A FANTASTIC PRODUCT. AM LOVING IT. I'm loving my dehydrator! I have waited a very long time to be able to purchase this. Love, love love it. I LOVE this thing! I don't think It's been turned off sense I got. By far the best dehydrator I've ever had. What I like most about this dehydrator is that it dries evenly. Changing the position of trays to get even drying is a thing of the past. I purchased the 3900. After the purchase I realized that i maybe should have purchased a smaller dehydrated. I decided to keep the 3900 and set myself up to make an attempt to be a jerky king. After 41/2 hours my jerky was ready. Wow ---- best jerky I ever had. I have now decided to perchase another 3900. This weekend we are going to try our hand at dehydrating fruits on all 9 trays. Can't wait. The whole family is excited. I have never made a more satisfying purchase in my life. This is one of the best money saving purchases we have ever made. The "Preserve it Naturally" book that came with the unit is priceless. The book has many recipes you can try and takes you the dehydrating process very easily. Wonderful dehydrator. Would tell all my friends this is the unit to have. Friends have other dehydrators. None is equal to the Excalibur for ease of use and consistency with results. Worth every single penny! I'm very happy with my Excalibur Dehydrator. It was delivered quickly and in great shape. 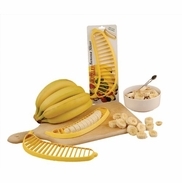 I've used it to dehydrate banana's and soaked almonds. Fantastic. I'm so glad I bought it. I had never heard of this site until I was looking for a dehydrater. My 5 start rating goes not only to this Excalibur product which is insane, but to this website as well for their great customer service. The product is almost 30 dollars cheaper versus its next competitor then you add free shipping on top, the deal cannot be beat. Disappointed in the flimsy polyscreen mesh inserts. Otherwise the unit seems very nice. 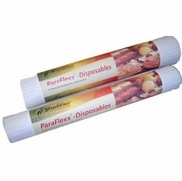 Merchant's comment:The polyscreen mesh inserts are BPA-free polypropylene material that are VERY durable. They are actually designed to flex into a funnel shape so that you may use them to pour the items off when done drying. Just got the dehydrator and it is working great! Already tried a few recipes. Looking forward to making more variety of nutritional items. Thank you! It's as wonderful as everyone says! And Harvest Essentials' helpful staff answered every question. Thank you! The food dehydrator arrived just two days after ordered, so I am impressed with the efficiency of the company. They also called in response to a note I made when ordering, which was also thoughtful. It's now wrapped and sitting under the Christmas tree as a present for my husband. This brand came highly recommended and we're looking forward to using it in 2017. I am very pleased with the Excalibur Dehydrator. I have only dried a few things so far but I am impressed with its versatility. It holds a large amount of food for how small of a space it takes up on the counter. It is quiet and sleek looking. I would definitely recommend this to anyone in the market for a food dryer. Love my Excalibur dehydrator, the price was amazing and I've already started using it for making sprouted bread. Thank you Harvest essentials for making this available. Just bought the Excalibur 3900 9 tray and used it for the first time. Very easy to use and my jerky turned out great. Can\'t wait to try the different recipes that came with the dehydrator!!!! Would recommend it to friends. I absolutely love it! Having the temperature control is great. It has met all my expectations and I highly recommend it for anyone thinking about dehydrating. I have kept the dehydrator going almost daily since I purchased it. I love the temperature settings. I do wish it had a timer as I have over dried some things, but not sure it it is totally my fault...? 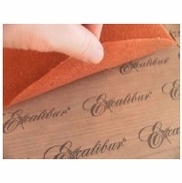 I can�t figure how to make a fruit or vegetable leather that isn�t brittle. I even made a circle and left the middle open, but it still over dried and was crisp. The accompanying books were fun and gave me many ideas. This product is simple to use, and of quality construction. We've had it working almost constantly since it arrived! The unit was put to use immediately and showed how easily and quickly herbs can be transformed to easily stored particles. Great machine! Package arrived in a few days. very good packaging to protect item. I love my Excalibur, it is everything I have rea about and then some. We've had one of these dehydrators for years and it finally fell apart. I was happy to find the 3900 on sale and we look forward to many more years of dehydrating. I work at an year round outdoor facility for boys and we do lots of wilderness trips so the dehydrators get used heavily. I received my Excalibur 3900 Food Dehydrator last week (super fast shipping) and put it to use immediately. It has been working non stop ever since. The free "Preserve it Naturally" book was a great addition and gave me very clear instructions and some great recipes. The strawberries, kiwi, bananas and pineapple all came out perfect and delicious! I can't wait to try my hand at beef jerky. I rehydrated some bell peppers I had dehydrated last week to see how that part of the process works and they added amazing flavor to my dish. I would highly recommend this dehydrator to everyone. It is well built, handsome, and the nine trays give me plenty of room to accommodate my dehydrating desires. Wish I had bought one of these years ago. Will come in handy when my garden really gets going later this month. Great price for the Excalibur I was looking for. Easy site to use and free shipping! What could be better! I've used my dehydrator for fruits, herbs and jerky. It's performed perfectly every time. Don't let the comments related to noise and energy use concern you. The noise level is less than an average dishwasher and unless you are running it 24/7, there isn't any significant increase in energy used. Love the 9 tray so much brought a second one. Never used a dehydrator before, but with the books, and all the information they provided, I LOVE IT! I'm gonna get one for my sister for Christmas. This dehydrator is just as everyone has described. It was very easy to use and produced excellent results. I look forward to many years of healthy living using this dehydrator. I loved that it also came with the most up-to-date book. Thank you! First and foremost 'I love my dehydrator'. It works so much more efficiently than my old one. Harvest Essentials was great to work with and I have no complaints about them. My only criticism is the quality control at the manufacturers. When I turned my dehydrator on it was making a loud racket...one of the fan blades was hitting on a plastic terminal strip attached to a transformer. Since the fan is plastic, I don't believe it could have gotten bent during shipment. I was able to correct the problem myself and am happily dehydrating away. Who knew fruit could taste so good as a snack! Love this dehydrator. Of course, I haven't met an excalibur I didn't like! This modest costing model is every bit as effective as the most expensive 10-tray model in stainless steel. I could have purchase almost three for the price of one 10-tray. But, I must say, the beautiful stainless steel 10-tray fits so nicely in the kitchen with stainless steel major appliances. Since I am in production mode in multiple locations, the 3900 model meets the budget. I purchased one for my daughter and plan to purchase more for a wall of dependable dehydrators for raw food production as a raw food chef. having lots of fun dehydrating, waiting for apple season to start! Plan to use many of the recipes in book for our next Boundary Waters canoe trip. It does an amazing job, and HarvestEssentials has the best price and ultra quick shipping. Love the Excalibur 3900 9 try. the reference book is easy to fine the vegetable and fruits chart. 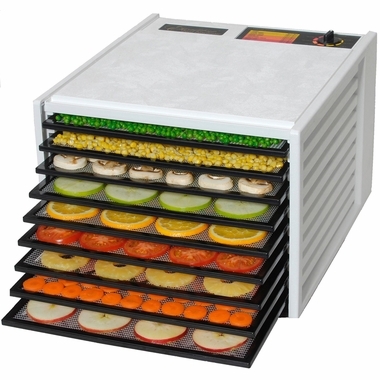 I have been using it for making raw pizza crust to dehydrating fruits and vegetable. Having purchased and (still use) American Harvester gardenmaster thermostat controlled type dehydrator for years - I was reticent acquiiring a new dydrator based on in the price and reported performance of the Excalibur. Several friends had recommended the Excalibur so we acquired to assist in processing a greater volume of garden produce. The Excalibur outperforms the "gardenmaster" in volume capacity , evenness of drying, and cycle time. Verifying temperature both min and max within 3 degrees.Horizonal flow design a proven concept with Nesco now offering their 6 tray version. Have dried zucchini and celery. so far so good! I bought an Excalibur dehydrator about 34 years ago and used it up until the time I received the new one. Great product. It seems to work as advertised, but it\'s to early for a review since I have only used it twice. I say again it worked perfect right out of the box. I love that all I have to do is look up what I want to dehydrate and the temperature and times are all there for me. I don't have to take all that extra time to try and FIGURE IT OUT. We previously owned a Nesco dehydrator and were not all that impressed with the results. The Excalibur is a much better design and the results are a lot better! I began a journey toward a plant-based diet and have been incorporating more raw/living foods into my diet. 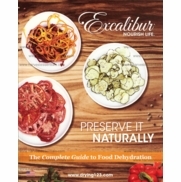 This Excalibur is a great tool to help preserve all that wonderful produce that is in season and make nutritious snacks without losing the enzymes and crucial nutrients our bodies need. I'm so pleased with this machine so far, and I keep the dial at 105 degrees to prepare living, dehydrated foods. I've also learned of some great recipes with soaked grains and herbs to make vegetable crisps (instead of typical baked/fried crackers). Plus, this particular model comes with a wonderful book called "Preserve It Naturally". My only note on that book is that if you are looking to keep enzymes and important nutrients when dehydrating fruits and vegetables, keep the temperature at 105 degrees instead of the recommended temperatures. It may take a bit longer, but the health benefits are worth it, in my opinion. Very smooth transaction! Arrived in perfect condition and I have been really enjoying it! Thank you!! It's a joy to use this dehydrator! The product has worked better than expected. Arrived in a timely manner from Harvest Essential. In fact I was dehydrating the next day. Banana, beet, turnip, sweet potato chips made 4 times already. Made yogurt once and have only had it 4 weeks. Certainly will pay for itself in a healthy oil free way by summer. I love that I can take out a shelf if I need the room for a larger item. It is fast and does such a good job. Much better than the other hydrators I have used. I have it on my kitchen shelf and use it all the time.